Serenitea's 2016 Diary and Choco Holiday Series with Toblerone. Still on a hunt for a new planner to use next year? 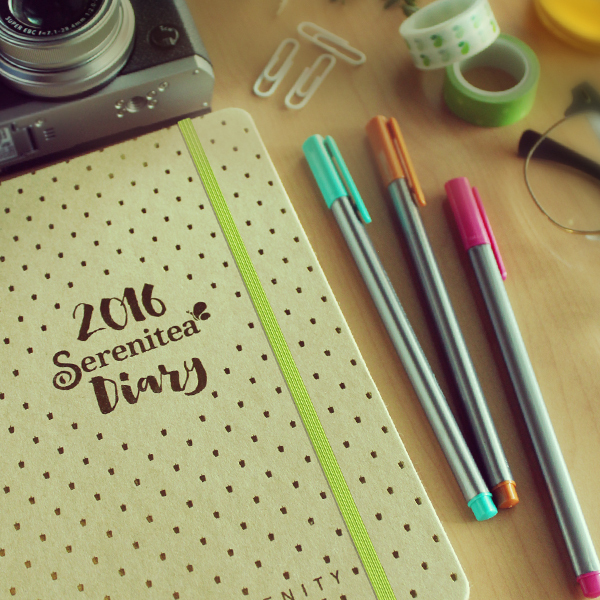 Check out Serenitea's 2016 Diary. I have one and it's even prettier in person with the shiny gold dots contrasting with the craft paper-like cover. You can get the planner for free (yes you read that right.. FREE!) by spending a minimum single receipt worth PhP1,200. If you don't know what drinks to buy at one time, you can just purchase gift certificates instead. The good thing about these GCs is that they have no expiry date so you can give them as gifts to your friends next Christmas or keep them for future Serenitea purchases. Hurry because these planners are only available until January 15! What T and I are sad about is that we missed Serenitea's Jumbo Cups promo for their 7th anniversary last December 16, 17, and 18! We really line up for this but so many things were happening then... I got sick, my schedule got hectic, plus it was T's birthday too. So we weren't able to get our one-liter Serenitea fix. 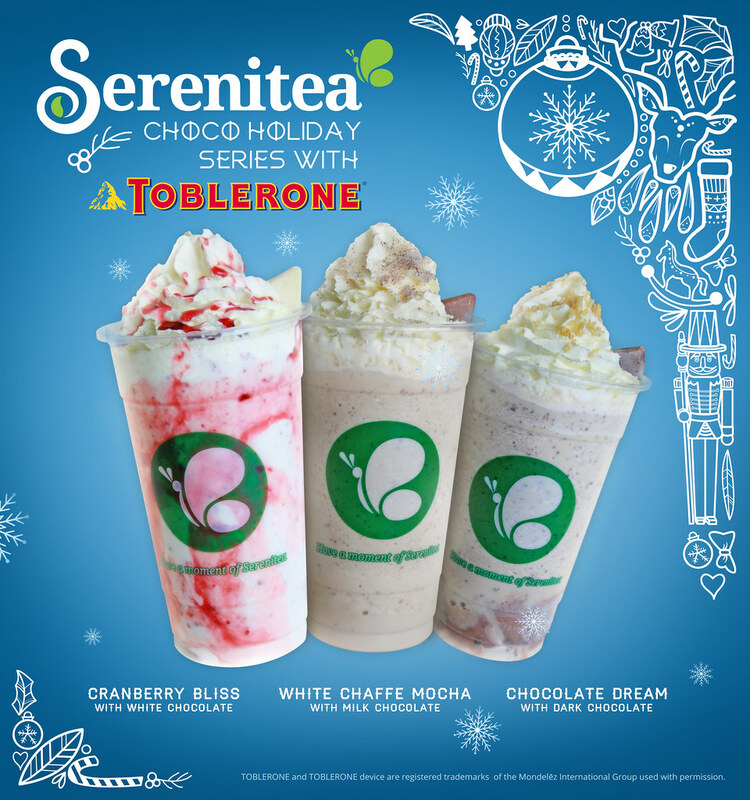 So if you are like us who missed it too, then you can't also miss Serenitea's Choco Holiday Series made in partnership with Toblerone! Treat yourself and your loved ones to Cranberry Bliss with White Chocolate, White Chaffe Mocha with Milk Chocolate, or the best selling Chocolate Dream with Dark Chocolate. The drinks are PhP185 and are available only until the end of this month! For more information, visit Serenitea's official website at www.iloveserenitea.com, like their Facebook page at www.facebook.com/iloveserenitea or follow them on Twitter and Instagram @iloveserenitea.